Thank you for visiting! All of my images are available as prints. Larger sizes gladly quoted upon request. Lidija Kamansky is a fine art nature and landscape photographer based in Winthrop, Washington. She’s had a camera in her hands since childhood, and has very few photos of herself at camp, or with friends, because she was always the one behind the camera. Lidija took her first photography classes in the late 90’s and it was then that she knew that she wanted to be a serious photographer. 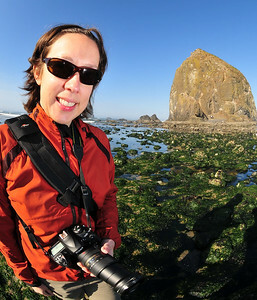 She has been honing her craft since then, traveling extensively and photographing all around the Pacific Northwest, California, and many of our National Parks. Lidija’s award-winning photography has been published by National Geographic, Outdoor Photographer, and the Seattle Times, and she was recently named as one of the 101 Best Landscape Photographers.